“We are thankful for the ongoing support The Islas Secas Foundation has provided for our project. Long term studies like this allow us to monitor how populations that were once severely depleted by whaling are recovering. By detecting trends in this population we can help inform the best conservation and management plans. It is wonderful to see a humpback whale population doing so well!” – Kristin Rasmussen, President of Panacetacea. 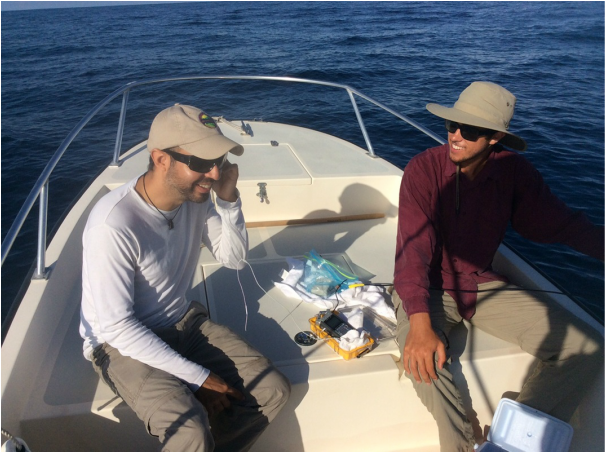 THE ISLAS SECAS FOUNDATION, Louis Bacon‘s Moore Chartable Foundation affiliate, partners with Panacetacea, a group of biologists dedicated to the study and conservation of the dolphins and whales of Panama, on long-term humpback whale monitoring in the Gulf of Chiriqui. In 2016 Panacetacea had the third-highest sighting rate since the project began in 2002, identifying 110 individual whales and continuing to see many small calves born in these waters. Last year, The Islas Secas Foundation additionally provided support for two community outreach days, allowing Panacetacea to bring local schoolchildren from Boca Chica to Islas Secas for whale watching trips. These visits included presentations on ocean life and conservation issues in Panama, whale watching boat trips and exploration time on the beach. Humpback whales migrate from feeding areas in both the southern and northern hemispheres to Central America during their winter to mate and give birth. Panacetacea currently has 500 individual whales identified using unique markings on the undersides of their tails. These whales are migrating from feeding areas in Chile and Antarctica, and have been seen in other breeding areas off Costa Rica, Ecuador and Colombia. The goal of these surveys is to continue to document the habitat use, migratory patterns, and conservation needs of this population of humpback whales in Panamanian waters, and to detect any changes in the population. Current threats including climate change can also be detected with a long-term dataset. This monitoring project includes annual documentation of the number of whales seen, the distribution of sightings, and the presence of calves. Individuals are also identified every year using photographs of their tail flukes, which allows Panacetacea to track annual re-sight rates as well as migration to other areas. These photographs can also be used to estimate population size. Panacetacea submitted a 2016 report to the Panamanian government agency ANAM (Autoridad Nacional del Ambiente) and to the International Whaling Commission at their meeting in June. Results to date were also presented in December 2015 at a workshop at the Biennial Conference on the Biology of Marine Mammals in San Francisco. Learn more about Panacetacea’s work here.